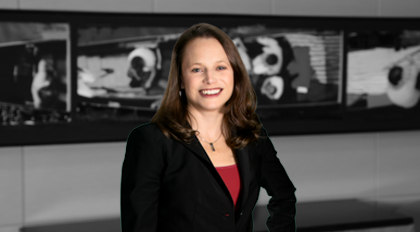 A member of the firm's Investment Team, Carolyn Meade brings broad experience to the companies, stockholders, entrepreneurs, private equity groups, sponsors and institutional investors she represents. She assists both financial and strategic acquirers and targets in their mergers and acquisitions, leveraged buyouts and recapitalization transactions. Meade further serves as outside corporate counsel for a real estate development company holding nearly $1 billion in assets and as general counsel of an internet-based plush toy company. Meade is one of three Hiring Partners overseeing the firm’s recruiting program, is active on the Attorney Development Committee and was a founding member of the firm’s Young Professionals Subcommittee. "States Pilot Crowdfunding Initiatives to Increase Funding for Small Business" – Bloomberg BNA Securities Regulation & Law Report; June 17, 2013. "Business of Law Corporate and Securities Update" – Equity-Based Crowd Funding – Federal and State; May 6, 2013. Included in Business North Carolina's Legal Elite list, 2014-2018. Represented sponsor in control equity investment and ultimate disposition of leading designer, manufacturer and marketer of electrical connectors, time switches, wire management products and related electrical components for construction, maintenance, and repair applications with enterprise value of $122 million. Coordinated investment in holding company from accredited investors, including fund with bank holding company limitations. Represented sponsor in preferred equity investment in entity providing commissioning services (integration of HVAC, security, other systems) in the United States and worldwide. Represented national bank in structuring and formation of joint venture to provide system allowing customers to exchange P2P payments with anyone at any U.S. financial institution. Represented owners of consulting firm and software solutions provider in stock sale to a national strategic acquirer. Advised management team and Board in aggregate equity raises of $150 million and bond offerings of, in aggregate $400 million. Entity formation and first and second round capital raises for business venture manufacturing and marketing premium liqueur in a distinctive, patented bottle. Represented start-up entity initially capitalized through crowdfunding. Advised on structuring, contracting and intellectual property protection.